As we are getting close to September all the Apple fans are getting much more excited as it is the time of the year when the new iPhone is to be released. This time the attention is on the software of the device. To be specific it is more about the iOS 12. At the end of the day, it is only iOS 12 which makes a difference in your experience. The public beta version was released and for all those who used it might find it a bit boring, but it is all for good. There are huge expectations from the new iOS 12 in iPhones and iPad, they might just be the most capable augmented reality devices, it could have artificial intelligence (AI) virtual assistant Siri to be smarter than ever and the new iOS would behave like a nanny to stop you from getting addicted to your smartphone. Despite all the expectations, iOS 12 is mainly concentrating on what you cannot see as a separate app or a feature. iOS 12 mainly focuses on three things – performance, stability and security. All of these three things are sure to improve the experience of its users. The previous version iOS 11.4.1 had an update to block the passcode cracking tool, which tells us what the next update id up to. The improvements in the three aspects will be much more visible with the launch of every public beta and then the final release for everyone will prove it. If you currently own an older version of the Apple smartphone like an iPhone 5s, the performance boosts will give a new life to your device. The compatibility of iOS 12 reveals that the update will be available for the iPhone X, iPhone 8 Plus, iPhone 8, iPhone 7 Plus, iPhone 7, iPhone 6s Plus, iPhone 6s, iPhone 6 Plus, iPhone 6, iPhone SE and iPhone 5s, the iPad Pro 12.9 (1st and 2nd generation), iPad Pro 10.5, iPad Pro 9.7, iPad (5th and 6th generation), both generations of the iPad Air, including the iPad Mini 4, iPad Mini 3 and the iPad Mini 2. 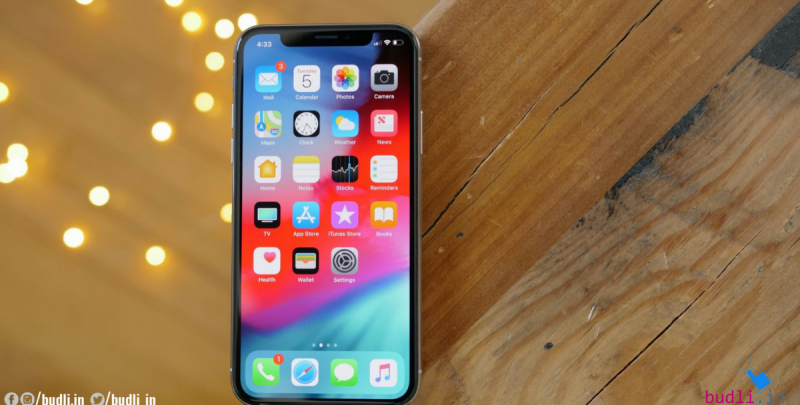 Apple has assured that the apps will load 40 per cent faster with iOS 12 and there will also be a visible difference when you use it on any older models, the newer ones are much powerful to notice the difference but iOS is definitely going to improve the speed of your device. There are a lot more updates like the grouping of notifications on the lock screen, location-based and calendar linked to DND options, better parental controls, more powerful facetime, animojis and smarter Siri. If you expected for a redesigned iOS 12, unfortunately, that is not in the line this time. If iOS 11 could stand still for such a span, iOS 12 is sure to be able to eke out a lot more from your iOS device. Why wait until an update rather you could upgrade your device to be much more powerful and boast it with the upcoming update. To upgrade your device, the best platform is budli.in. Budli is an online store for refurbished electronic gadgets which has a large inventory from where you can choose a device of your choice. Budli also offers great discounts, so go grab your device from budli.in.